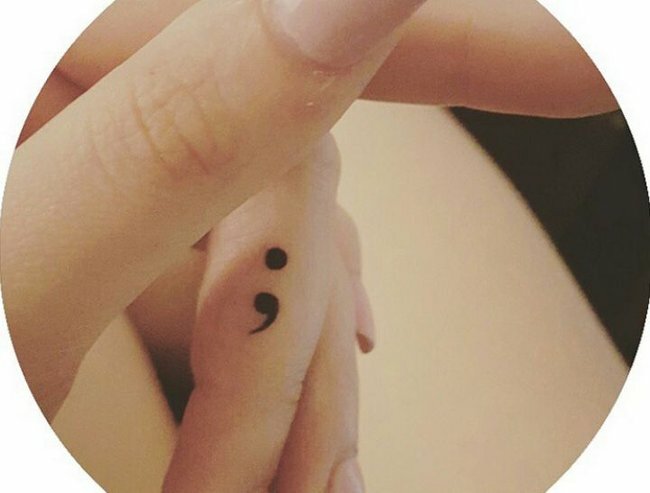 People are getting a semicolon tattoo for a great reason. 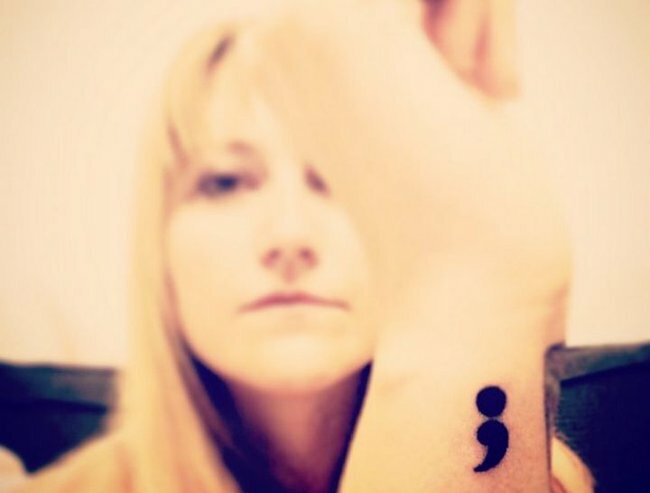 The heartwarming reason why so many people are getting semicolon tattoos. 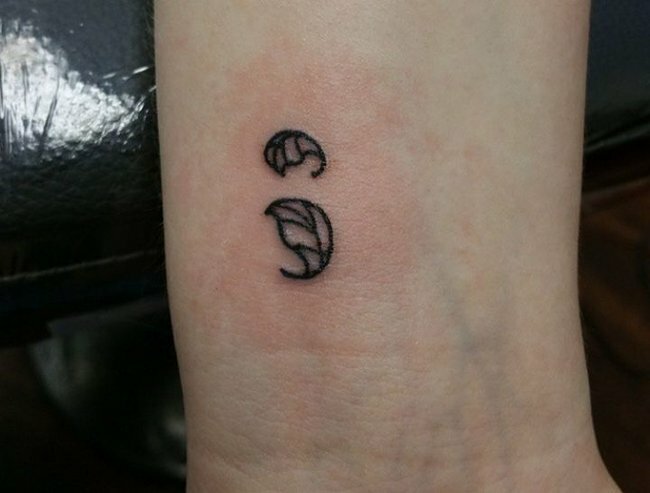 Semicolon tattoos are everywhere at the moment. But there’s a heartwarming reason behind the trend. Trigger warning: This post deals with issues of depression, anxiety, self-harm and other forms of mental illness and may be triggering for some readers. We’ve seen the white tattoo trend, less permanent tattoos, like Beyonce’s favourite flash tattoos, and the slightly more extreme eyeball tattooing. 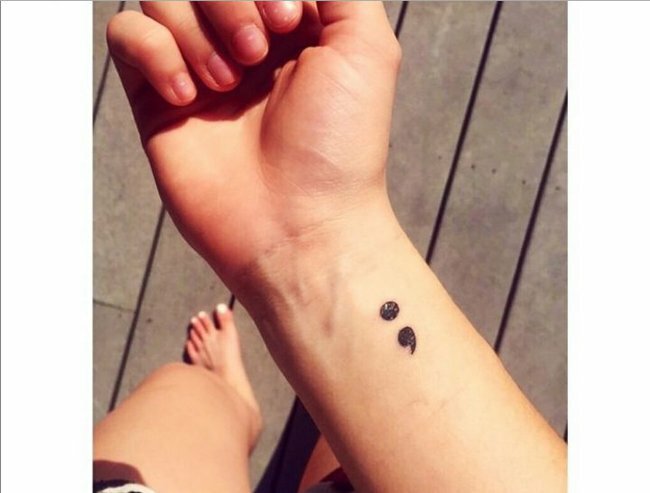 So when we started to spot semicolon tattoos everywhere, we assumed it was just another the tattoo fad. We couldn’t have been more wrong. 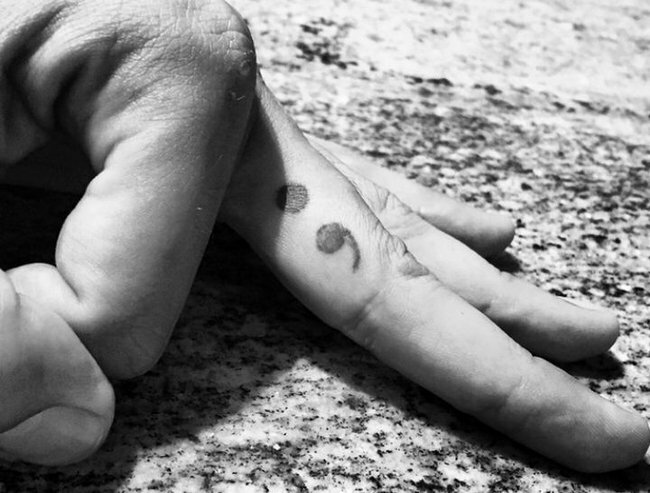 For many who have contemplated suicide, the semicolon is a symbol of hope. After doing some investigating, we found that it’s so much more than a passing trend. 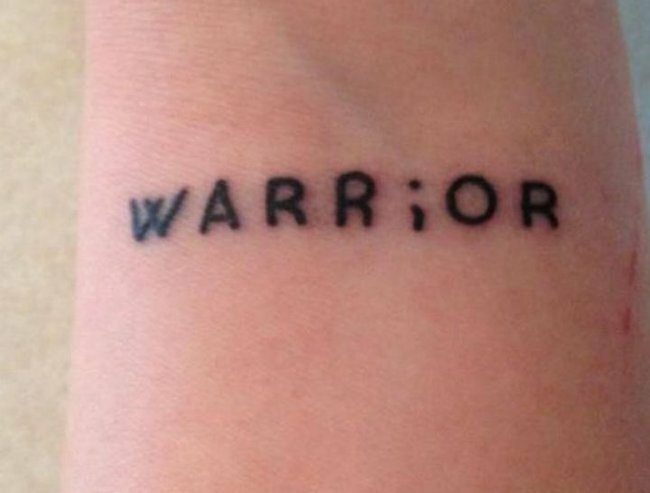 Project Semicolon is a non-profit dedicated to supporting people dealing with depression, anxiety, self-harm, and other forms of mental illness. 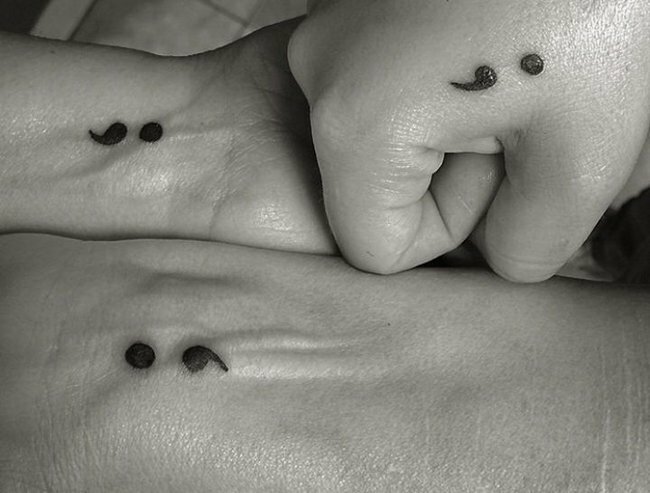 The project began in 2013, when Charlee Chandler and Matthew Wills began to post images of semicolons drawn on their wrists, to support those suffering from mental illness. 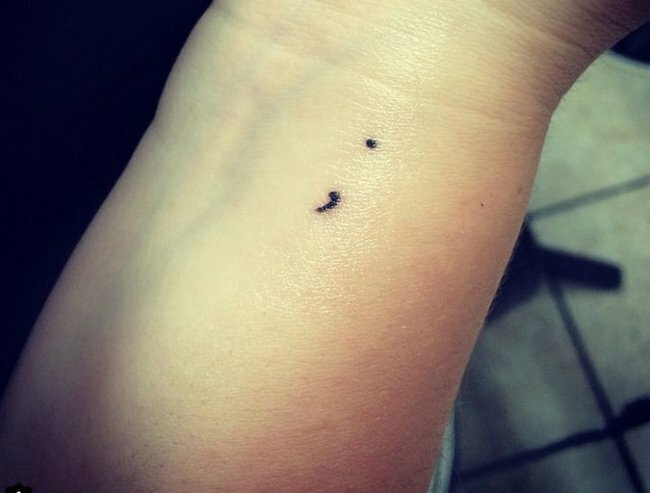 Soon after they founded The Semicolon Project. Project Semicolon encourages a discussion around mental health, for both those suffering from mental illness, and their family and friends. You can listen to the full Mamamia Out Loud podcast here. The original semicolon event, held two years ago, was so successful that the project is now ongoing. You can read more about it here. A spokesperson from Lifeline Australia explained that most people who consider suicide do not want to die, and are, instead “attempting to escape unbearable mental pain and anguish”. 1. If you think someone might be suicidal, ask them directly, “Are you thinking about suicide?”- don’t be afraid to do this, it shows you care. 2. Listen and stay with them. 3. Get help – call a crisis line like Lifeline 13 11 14 or 000 if life is in danger. Get support for yourself too. 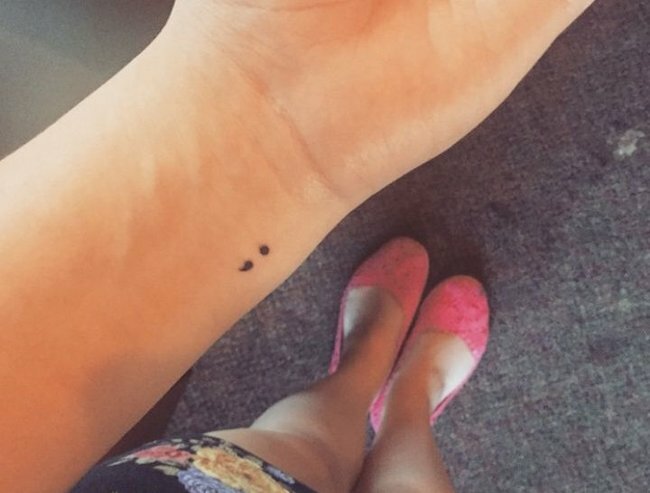 What do you think of the semicolon tattoo trend? Like this post? Try these…. What does it mean when women have tattoos? 10 things not to do when you get a tattoo. Got an awful tattoo? Do what this guy did.